Governor Gina Raimondo, who is seeking to provide two years of free college tuition to Rhode Island residents, said that her plan would ease a major financial burden for middle-class families and encourage more young people to remain in the state. Raimondo’s plan, proposed last month, would eliminate the cost of a two-year associate’s degree at the Community College of Rhode Island or provide two years of free tuition toward a four-year degree at Rhode Island College or the University of Rhode Island. The plan aims to help prepare more young people for high-wage jobs, as part of a broader agenda Raimondo said she is pushing to lure high-tech and biotech companies to a state that has seen its traditional base of blue-collar manufacturing jobs erode over the years. Currently, about 70 percent of high-wage jobs in Rhode Island require a college degree, but only 40 percent of residents have that credential, she said. Rhode Island, which was saddled with the highest unemployment rate in the nation as recently as 2015, currently has the 35th highest rate, at 5 percent. On average, students who graduate from Rhode Island colleges with debt owe more than $35,000, the second-highest debt load of any state, after Connecticut, according to Raimondo’s office. In proposing the benefit, Raimondo is borrowing a page from US Senator Bernie Sanders, the Vermont independent whose free college plan helped him galvanize massive support from young voters during his unsuccessful bid for the Democratic presidential nomination last year. His plan was criticized by some as a costly entitlement. Raimondo’s plan, which needs legislative approval, would cost the state $30 million annually, she said. 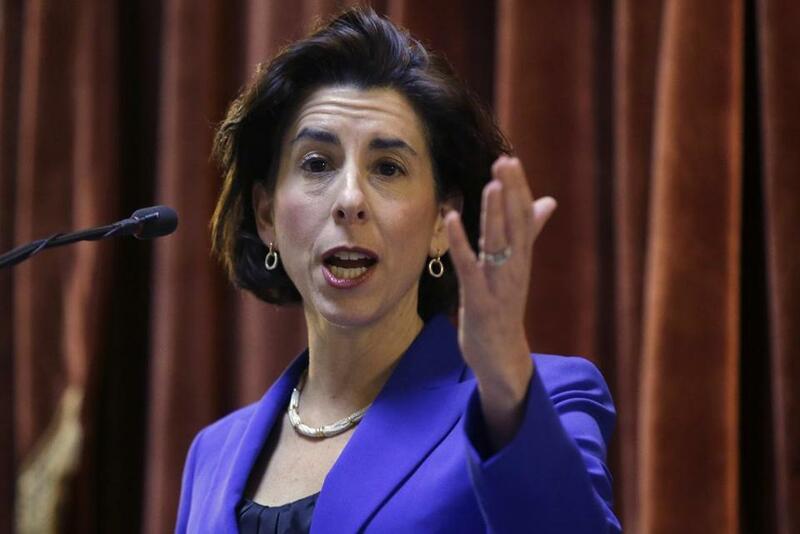 Although Rhode Island is facing a $114 million budget gap, she said, the plan could be paid for without raising taxes. The price tag, she said, represents less than 1 percent of Rhode Island’s $7 billion annual state budget. “Once you explain to people how affordable it is, almost everyone is surprised,” she said. The benefit would be open to all high school graduates, regardless of family income. Last month, Governor Andrew Cuomo of New York proposed a free college plan that would be open to students only if they or their family earn $125,000 or less a year. Raimondo said that, given scarce public dollars, she understands the notion of targeting the benefit based on income so the state does not end up subsidizing college for wealthier families. But she said she worries that income limits could also hurt middle-class families who earn just a few dollars more than the cap.